* New early and late hours to provide availability and convenience for our patients. 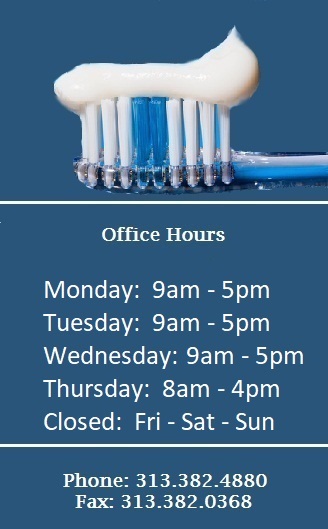 Dental Services. A Closer Look. Do you have a tooth that’s broken, badly decayed or shaped incorrectly? If so, you might want to have a crown, or cap, placed on the tooth to restore it to its normal appearance. Crowns are usually made from porcelain in a color that matches your teeth, and are attached to a strong metal shell. Less commonly, they’re made of gold or non-precious alloys, ceramic, acrylic or composite resin, or any combination of these. Your dentist will decide which one is right for you. Sometimes a metal post must be placed in the tooth to support the crown. In this case root canal therapy is done, and then the post is fit into the cleaned out root. Since the crown must align correctly with your other teeth for a correct bite, several impressions, or molds, of your teeth will be taken. The dental laboratory that your dentist works with will make the crown from the molds of your teeth. A temporary crown will be used to protect the tooth until the permanent crown is ready. At the second visit, the dentist will fit the crown over the old tooth. If you and your dentist are satisfied with the fit and feel, your dentist will cement the crown into place. Depending on the materials used to make the crown, it should last from at least 25 years to life. •Guard weak teeth from fracturing. •Support a large filling when there isn’t enough tooth remaining. •Fix badly shaped or discolored teeth. •Strengthen teeth following a root canal, when teeth can become weak or more likely to fracture. •To cover damage caused by decay. A root canal is the space within the root of a tooth. It is part of a naturally occurring space within a tooth that consists of the pulp chamber (within the coronal part of the tooth), the main canal(s), and more intricate anatomical branches that may connect the root canals to each other or to the surface of the root. 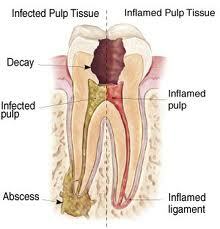 If the pulp of a tooth is diseased or injured, the pulp tissue dies. If you don’t remove the pulp, you could lose your tooth. The root canal process is the removal of the pulp and the placement of a crown on the tooth to help make it stronger. A root canal is a relatively simple process causing little discomfort. Zoom In-Office Whitening System is a revolutionary tooth whitening dentistry procedure thats fast, effective and safe. In about an hour, your teeth will be significantly whiter. Zoom is ideal for anyone looking for instant results. 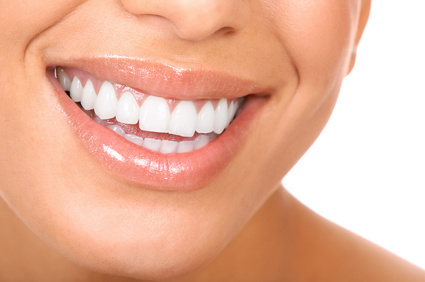 The convenience of Zoom compared to other whitening techniques makes it the perfect choice for the busy individual. Zoom light-activated gel is a scientifically formulated, pH balanced Hydrogen Peroxide that, when activated by the Zoom light, gently penetrates your teeth to remove stains and discoloration. With proper care and an occasional touch-ups, your smile will sparkle for years. Zoom whitening is simple and painless. It begins with isolating your lips and gums. The Zoom clinician then applies the Zoom Whitening Gel which is activated by a specially designed light. Teeth typically become at least six to ten shades whiter, sometimes more. A five minute fluoride treatment completes the procedure. In most cases, teeth get even whiter the first few days after the procedure. Ask your our staff about Zoom. Take your first step to looking great and making a memorable impression every time you smile.